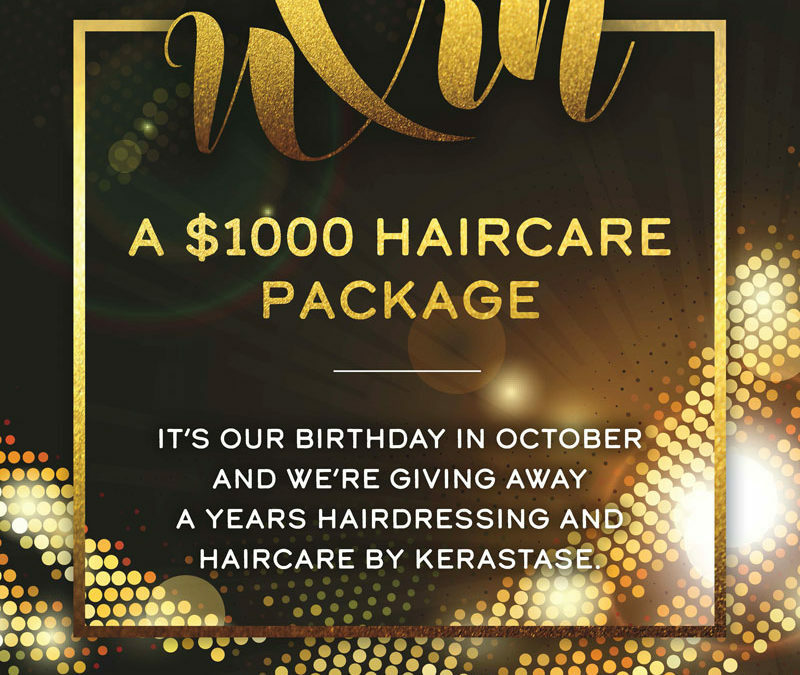 It’s our Birthday in October and we’re giving away a years Hairdressing and Haircare by Kerastase! For every $100 spent from 10th August to 10th October get 1 entry in the draw to win this fabulous prize. Refer a friend and get 1 entry in the draw. Facebook tag a friend who deserves to win a Years Free Hairdressing. 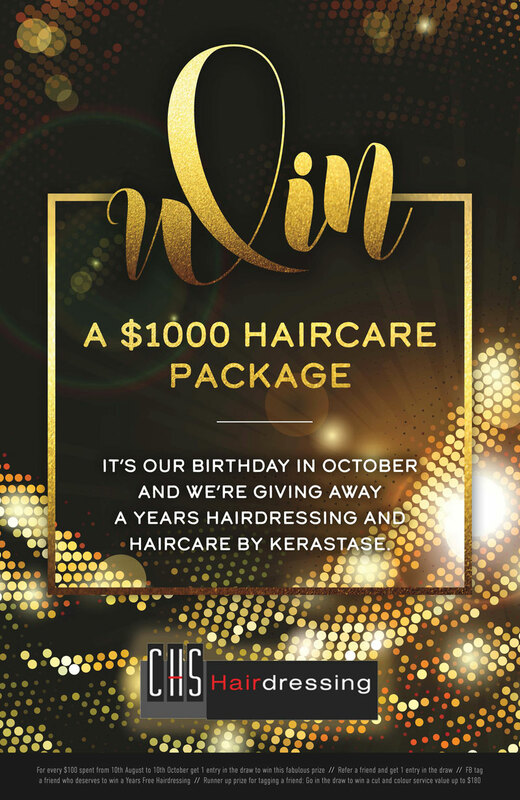 Runner up prize for tagging a friend: Go in the draw to win a cut and colour service value up to $180. Book your next appointment for before October 10th.